Chris Jericho smashes Shelton Benjamin with a ladder at Wrestlemania 21. Money in the Bank has been here for almost fifteen years, and it still produces a world of fun in each instalment. This is one of the few gimmick matches which is pretty much always entertaining and high in quality. A bunch of WWE superstars have made their name for themselves in the Money in the Bank ladder match, before ascending to the main event. The likes of Edge, CM Punk and Seth Rollins come to mind while talking about the bonafide stars created by this match. However, these three have had a total of eight ladder matches between them. That is just one more than the person who has competed in the most Money in the Bank ladder matches to date. Out of the six most frequent competitors in this match, only two of them have won the briefcase. They have provided us with countless memorable ladder and briefcase moments throughout the year. Out of the eighteen men's Money in the Bank matches, sixteen of them have featured at least one of these superstars. Let's see who has had the most Money in the Bank experience as of writing. Chris Jericho won the MITB match in Appleton. Chris Jericho came up with the idea of the Money in the Bank ladder match when WWE didn't have any plans for him and a bunch of upper mid-carders on Raw for WrestleMania. That makes it surprising that he hasn't won one yet. Or did he win, as he claimed to have done so in Appleton? Jericho took part in the first match, before going on a two-year-long hiatus. He made his WrestleMania return in the 2008 version of the risk-filled match. 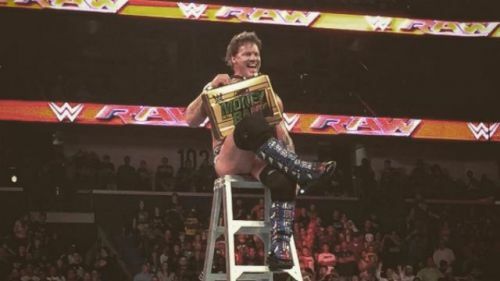 Further appearances in the 2010 and 2012 matches for the Raw briefcase added to his collection of MITB matches. However, his most entertaining involvement in anything MITB related was during the build towards the 2016 ladder match. His epic comedic timing and instant chemistry with Kevin Owens shone through. It laid the groundwork for the highly entertaining best friends angle between the two in the latter part of the year. WWE Rumour Mill: Which New Day member will wrestle at Money in the Bank?